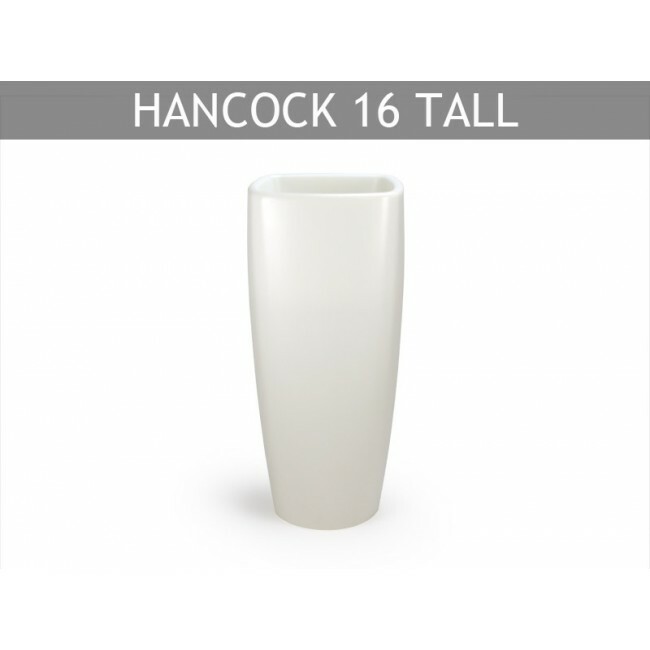 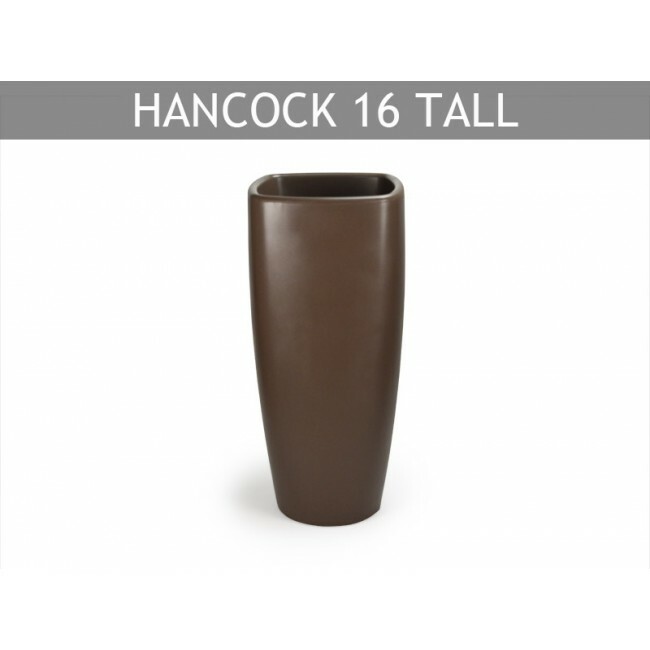 Available in a variety of sizes, the Hancock features a unique rounded square top that gently fades into a circular base. 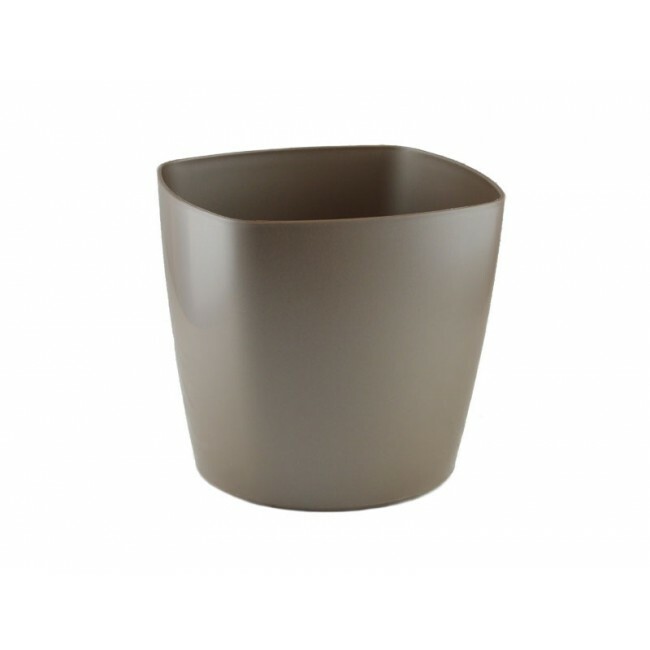 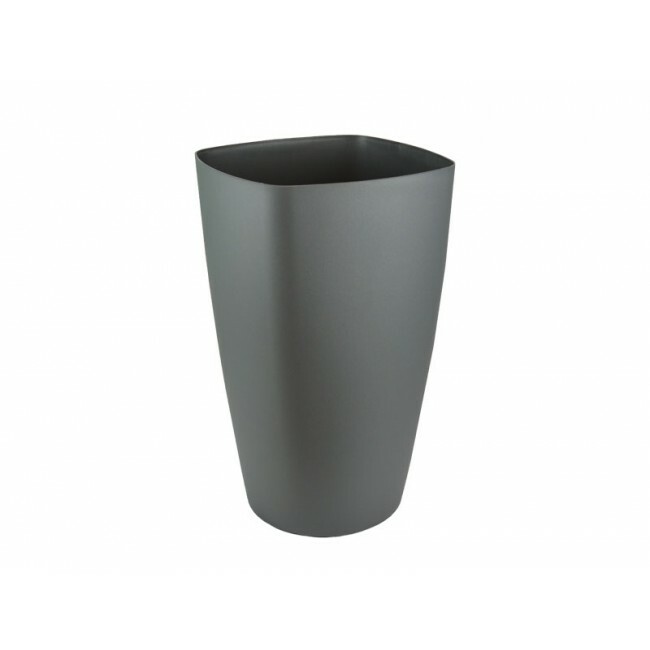 This versatile planter is manufactured in the United State using recycled polypropylene and polyethylene materials. Choose from seven earth tone finishes that will beautifully enhance any interior*. An EZ Up Platform is recommended to lift plants to the top of the HAN-12 and HAN-16, while the HAN-24 comes with a built in rotationally molded platform. Optional casters make moving the larger planters a breeze. 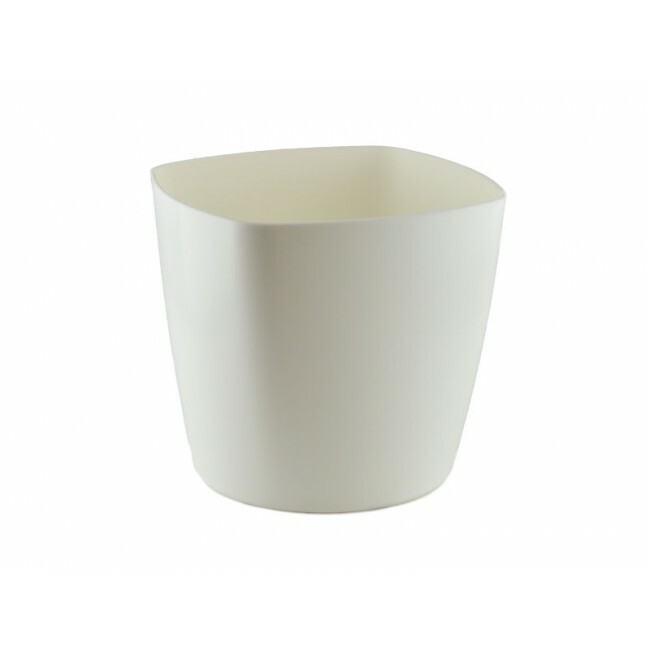 They fit recessed and out of sight into the bottom of the container. Reduce watering maintenance by adding a liner and eco sub-irrigation system to the Hancock. *HAN-7 comes in corresponding high gloss, metallic finishes. Grow Pot Size (max): 17" or 21"